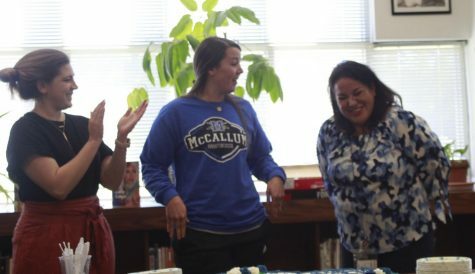 Following a year of student teaching, this is Sanabria’s third year as a teacher; all spent at McCallum. Photo by Greg James. When considering careers, one may think that being a high school geography teacher and being a member of the U.S. military may have nothing in common. 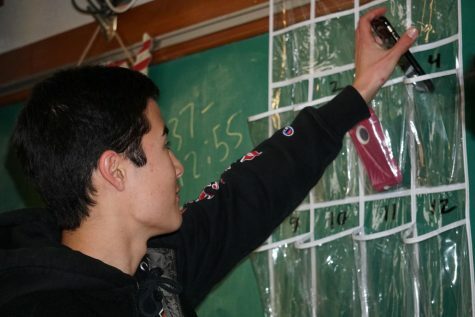 However, for one McCallum teacher, his two jobs have many unexepected similarities. Sanabria is a Sergeant First Class and a Special Forces Communication Sargeant; he operates his team’s communication systems: working with satellite radios, establishing networks and setting up AM and FM radios. Sanabria joined the military straight out of high school as a Special Forces recruit, then after two years of training, he was deployed all over the world to places like Afghanistan, Colombia and Honduras. 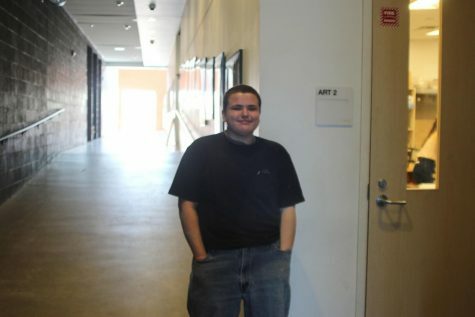 He worked in the Army full-time for about five years and then left to go to college, paid for by the post-911 GI bill, with the intention of going into education. 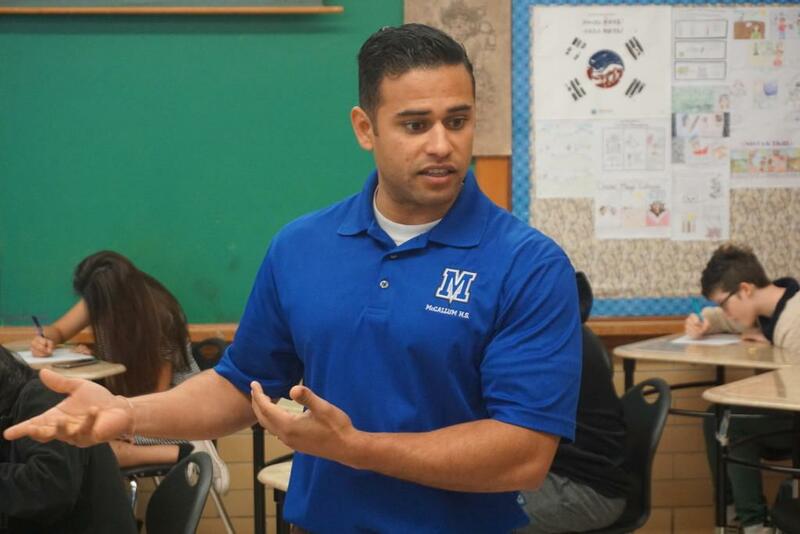 He continues to serve in the National Guard in addition to his teaching job at McCallum. He asserts that he has been affected both as a person and teacher by his military experience. 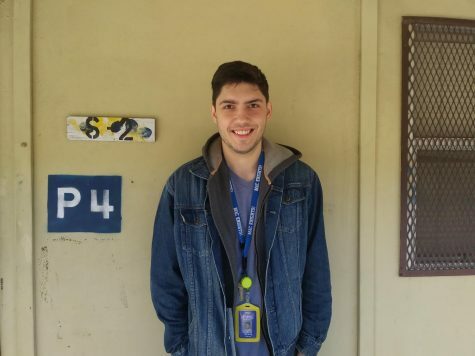 Sanabria says that even though the military has helped to shape him through the years and his continued participation in it is important to him, teaching is his top priority. 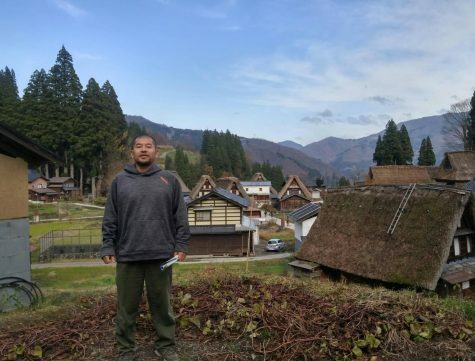 This school year, Sanabria had to miss all of the first semester when he was sent on a six-month-long overseas trip to South Korea. On these overseas trips, members of the National Guard, such as Sanabria, work with the other military to teach each other useful skills or tactics; the collaboration builds trust and rapport between the military partners. 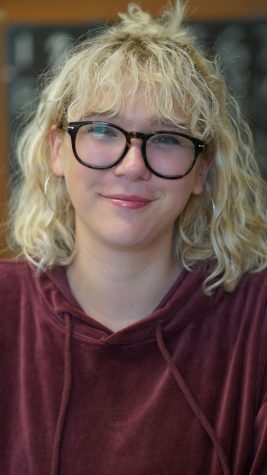 Katie Carrasco, like Sanabria a geography teacher and also the co-chair of the social studies department, says that though it was difficult to accommodate Sanabria’s absence, it was worth it in the long term. 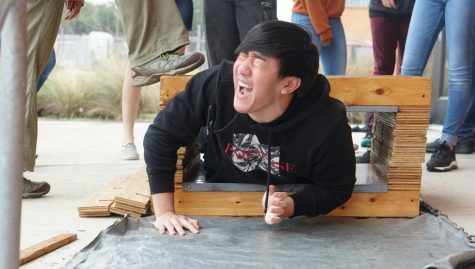 “We found out that he was going to be deployed… [and that] there wasn’t a guarantee that he would get to go back to McCallum, but we felt like he’s such an asset to our department [and] to our campus, so we wanted to make sure we could pull whatever strings we could so that he could have a position to come back to,” Carrasco said. 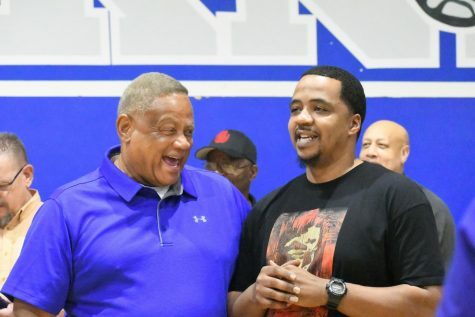 During his absence, a permanent sub, Charles Mangum, took over his pre-AP World Geography, regular World Geography, and the new AP Human Geography classes. While Mangum admitted that at times it was difficult managing all the classes for an entire semester, he also praised Sanabria for being an excellent teacher. Sanabria’s students, who studied under Mangum for the duration of the first semester, admit that there was an interesting transition between the two teachers. Students, despite just meeting Sanabria, report that they are impressed by his worldliness and insights. 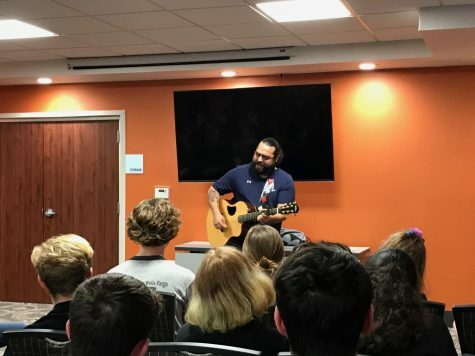 In turn, Sanabria, who was deployed in combat to Afghanistan at the age of 20, encourages students who are curious about joining the military to discuss it with him. Though teaching is his main passion, Sanabria says that he continues to hold his military as something special and something that has completely shaped his life. I liked this article because it shows that all teachers are going through other stuff besides just their work. Sometimes as students its hard to see your teachers as people who have a lot on their plate because they are the ones giving you work, but they have so much to balance in their life.